One of the most powerful benefits of diversity is diversity of thought. The best innovation and creative problem-solving demands diverse thinking. Kelly Breslin Wright, Board Director at Fastly, Amperity, and Even. Instructor, UW Foster. Former EVP Sales, Tableau. Diversity is a central topic these days. Of course, diversity is critical due to the inherent needs for more equality, fairness, and representation. But there is another reason diversity is important. One of the most powerful benefits of diversity is diversity of thought. To stay competitive and relevant, great organizations must constantly self-examine, improve, grow, and evolve. They need to challenge the status quo. Good business necessitates examination from every angle to uncover new approaches and discover new opportunities. People operate within their own perception biases. They are attracted to people who look, act, and think like them. They are drawn towards others with similar experiences and backgrounds. They recruit people from within their own networks. If companies do not proactively focus on diversity, they end up with teams of people who think and act alike. Homogeneous backgrounds lead to homogeneous thinking. Homogeneous thinking limits the realm of possibility, which thereby narrows pathways to new opportunities. 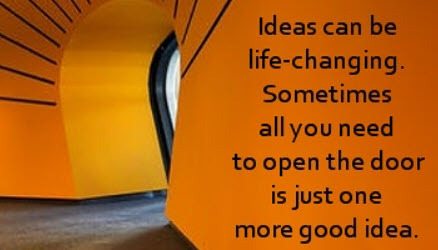 Great ideas are often bold and innovative. They can be risky. They typically require a compelling pivot, redirection, or shift in thinking. By engaging in healthy debate and evaluating problems from multiple angles and perspectives, a team can craft better solutions. Our individual thinking, just like our perception bias, is shaped by our own experiences, environment, education, culture, and personality. Companies serve diverse customers. These customers come from all different backgrounds – race, ethnicity, gender, sexual preference, age, economic status, geography, etc. Thus, companies need diversity in their teams, in their leadership, and in the boardroom to best understand and serve these different constituencies. The more diverse the participants, the broader the viewpoints and perspectives. The more creative the problem-solving. The more thinking out of the box. The more innovation. Kelly is a Board Director at Fastly, Amperity, and Even. She teaches Go-To-Market Strategy at UW’s Foster School of Business. Kelly recently retired from Tableau Software as Executive Vice President Sales after a 12-year run. She joined Tableau as the company's first salesperson in 2005 and helped grow Tableau into a multi-billion dollar public company as a key member of the executive team. Kelly speaks and writes regularly on topics including sales, culture, high performance teams, operational excellence, diversity, and scaling.